(NaturalNews) Americans were recently reminded once again that it is an exercise in futility to trust the federal government to uphold the Constitution and do its duty when it comes to proper execution of the nation's laws. As reported by The Wall Street Journal (WSJ), for more than a decade -- a period of time that coincides with the passage of the USA Patriot Act -- the Justice Department secretly harbored a database of Americans' calls to foreign countries, according to a recent court filing and officials who knew about the program. The paper said this latest revelation that another secret government database has been capturing and keeping Americans' phone calls was revealed in a filing just days ago in the case of a man who was allegedly illegally exporting electronic goods to Iran. A Drug Enforcement Administration official said in the filing that the agency, which is an arm of the Justice Department, has long used administrative subpoenas--not federal court orders--to collect the metadata of U.S. calls to foreign countries "that were determined to have a demonstrated nexus to international drug trafficking and related criminal activities." The document refers only to the collection of calls made to numbers outside the U.S., but some who are familiar with the program said it has also collected data on incoming calls. The program, the paper said, did not monitor the calls' content. Countries called are not identified in the document, and it also did not say how many nations were involved, but it does acknowledge, obviously, that Iran was one such country. Those familiar with the program say it has its origins in the 1990s. They added that the program was supposedly shuttered in 2013 amid reports that the DEA had begun gathering phone records in other ways. The WSJ reported that an official with the Justice Department says the database has been deleted and that officials have not searched it since 2013. The official also said, incredibly, that the DEA was no longer collecting bulk phone records from U.S. phone companies -- a statement that defies belief, considering the rash of privacy breaches involving the NSA and FBI, among other agencies, since the Patriot Act was passed and enhanced terrorism surveillance was codified in the law. According to Patrick Toomey, a lawyer with the American Civil Liberties Union, the new revelations show that "the government has extended its use of bulk collection far beyond" cases dealing with terrorism and national security and into ordinary criminal investigations. A year ago in March, then-head of the Senate Judiciary Committee, Sen. Patrick Leahy, D-Vermont, raised concerns about the program with Attorney General Eric Holder in a private letter. "I am deeply concerned about this kind of suspicionless intrusion into American's privacy in any context, but it is particularly troubling when done for routine criminal investigations," he wrote, adding that the program -- like many similar electronic surveillance programs -- was not reviewed by a U.S. court and no judge had ever placed limits or controls on when or how the database was searched. As described in the court papers, the DEA database sounds similar to one kept by the National Security Agency, though the NSA gathers both foreign and domestic calls. And the NSA program differs in another key way: It is authorized andoverseen [sic] by the Foreign Intelligence Surveillance Court. The DEA, according to the filing, gathered data simply though administrative subpoenas that aren't reviewed by a judge. 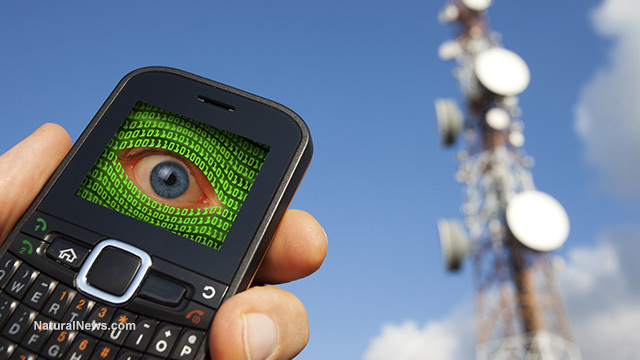 A number of civil liberties groups have called for Congress to dump the NSA program because it is little more than an ongoing violation of Americans' Fourth Amendment privacy rights. In fact, courts are currently considering several legal challenges to that program, the WSJ reported. Intelligence experts have said abuse of administrative subpoenas has increased dramatically since 2001. Also, experts have said that the oversight mechanisms enacted by Congress are ineffective. Michael J. Glennon, professor of international law at the Fletcher School of Law and Diplomacy at Tufts University and former legal counsel to the Senate Foreign Relations Committee wrote in is 2015 book, National Security and Double Government, that such checks are window dressing. "When question arose whether Justice Department lawyers inappropriately authorized and oversaw warrantless electronic surveillance in 2006," he wrote, "its Office of Professional Responsibility commenced an investigation -- until its investigators were denied the necessary security clearances, blocking the inquiry." Glennon, Michael J. 2015. National Security and Double Government. New York: Oxford University Press. Pg. 102.